It’s been a few months Google launched the Pixel 3 smartphones. And as we mentioned in our full review of the phone, the phone packs a ton of awesome features, making it almost perfect in every sense. The ad campaign mainly focuses on showing why most people have a hard time switching to a new phone. Some say they’re too busy, while others are just too loyal to their existing smartphone brand. Yes, you get the idea. Google is indirectly taking a hit on iOS, and you can even see people switching from an iPhone. The videos, however, never explicitly mentions the iPhone. All videos are hosted by James Davis, but each one shows a different subject with a different reason for not making the switch yet. Will they switch over to the Pixel 3? Of course they will, because these are all ads. In the first video, for instance, chef and a small business owner Gladys is “Too Busy To Switch”. So, Davis decides to hand over the phone to her and gives her three weeks to make her decision. The video then shows different situations such as photography, getting things done with the Google Assistant, etc., in which, of course, the Pixel 3 excels. The video titled, “Unswitchables: Too In Love To Switch” shows the story of Layne who’s having a hard time switching to a new phone as her partner is “too loyal to her brand”. But again, she uses a Pixel 3 for three weeks after which she, you guessed it right, decides to break up with her old phone. 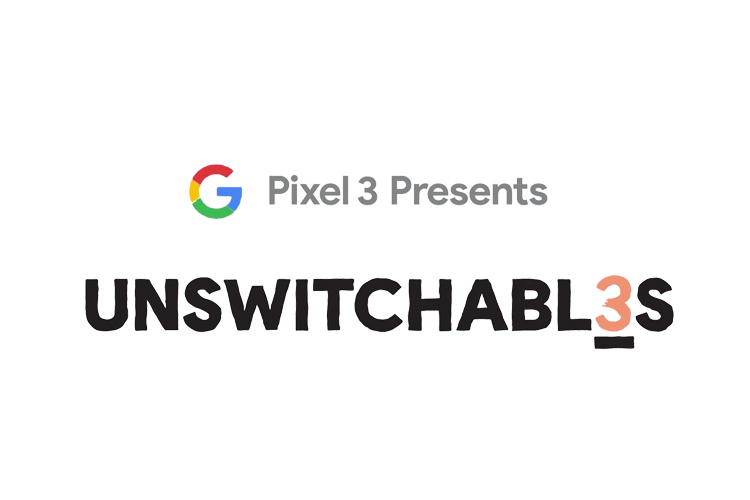 The other two videos, “Unswitchables: Too Chill To Switch”, and “Unswitchables: Too Anxious To Switch” paint a similar picture. As I mentioned earlier, they’re too long but they’re very well produced and fun to watch. You can watch all the ads right here. So, be sure to watch them let us know what do you think about them.